We offer Karl Fisher Titrator that is used to analyze the traces of water in a sample. 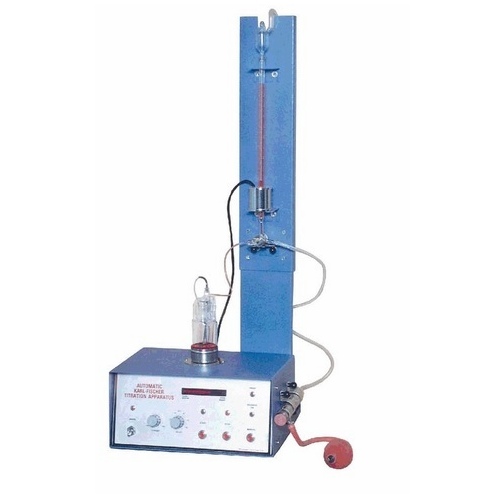 It comes with single burette system and 10 segments LED bar graph display to indicate the level of titration and are suitable for the analysis of solid, liquid and gases. It is applicable in the areas like cement, pharmaceuticals, chemical, textiles, and refineries.